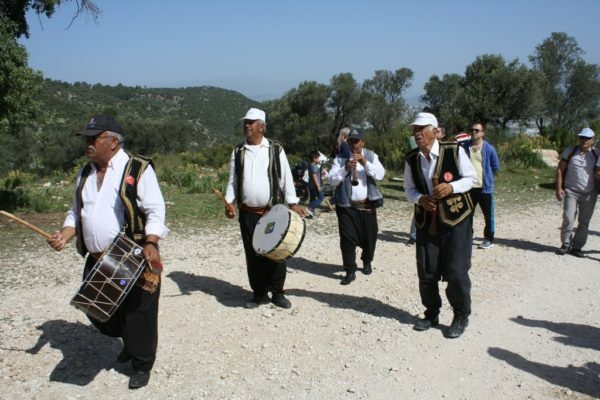 Every year in April, the village of Gelemis hosts the annual Nomadic walk from Delikemmer to Patara. 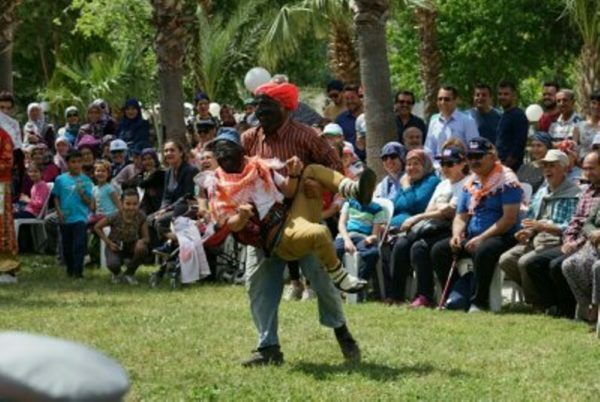 2018 sees the walk in its eleventh year!! 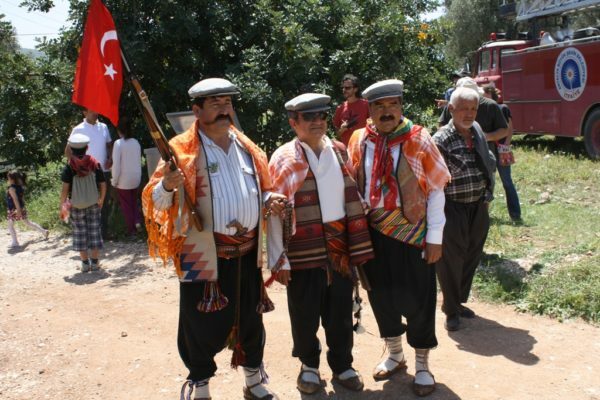 It is a fabulous day out and an opportunity to see traditional Turkish culture and hospitality at its best. 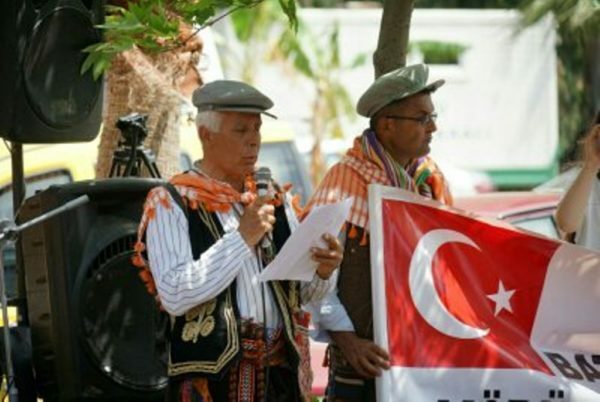 The people of Gelemis were originally Nomadic and are very proud of their roots and nomadic culture. Until the 1970’s the village people had no permanent home. 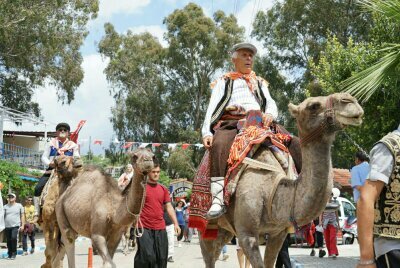 They would move with their animals and all of their belongings between Gelemis (Patara) in the winter months and the “Yayla” (mountain pastures) in the summer months. 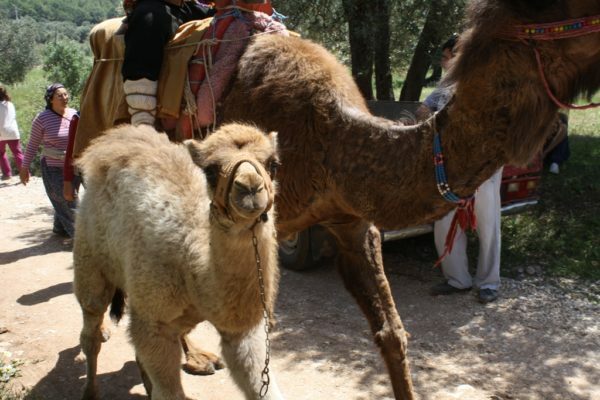 Everything would be transported on donkey, horse and or camel. 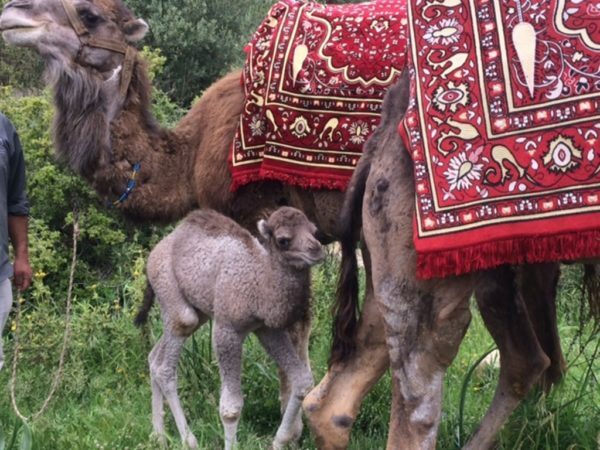 In fact Muzaffer’s granny used to hire out camels for transporting people and their belongings to new pastures!! 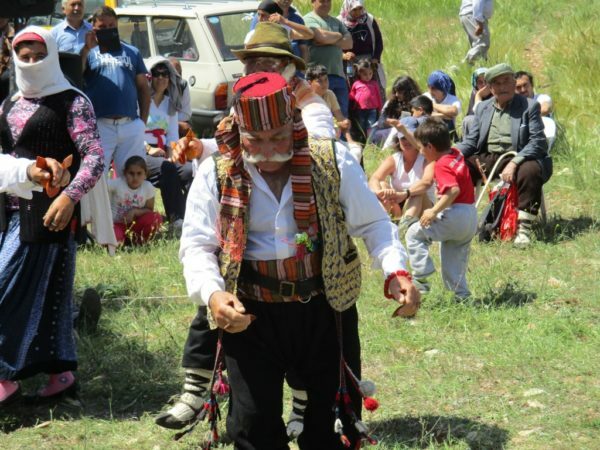 It seemed a natural choice therefore, for the people of Gelemis to choose to celebrate Tourism week in April with a traditional Nomadic walk. 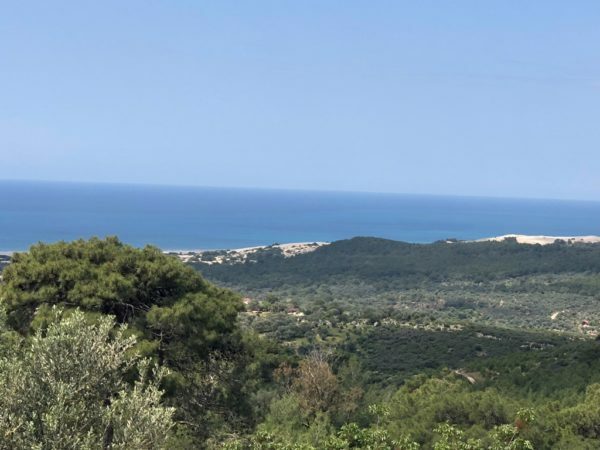 The walk follows the old Roman water system from Delikemmer to Patara. 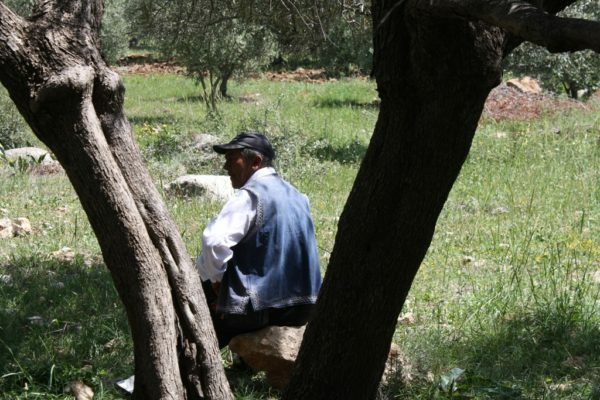 This is part of the long distance walk “The Lycian way” and is easy enough for people of all ages and fitness to enjoy. 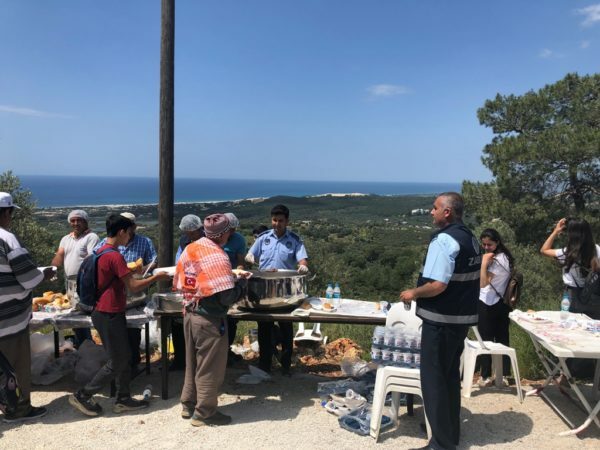 The rewards are fantastic views, beautiful scenery, pretty wild flowers in abundance, a delicious barbecue lunch with views over Patara beach and plenty of music and dancing. 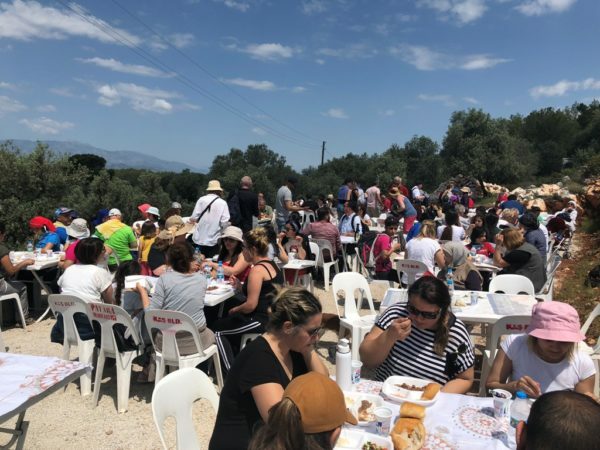 It is a day when locals from many of the surrounding villages meet with friends and family and walk together with visitors on holiday in the area. 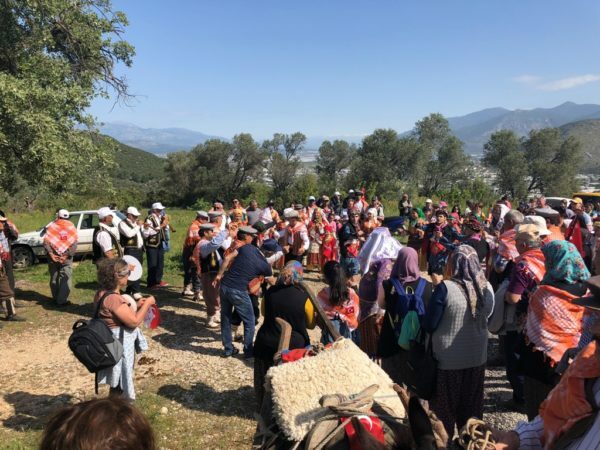 Many of the locals dress in traditional nomadic costume, bring along camels, donkeys, horses and sheep and they are joined by Yoruks from Fethiye, Elmali, Seki, Burdur and many other small town and villages which have a strong Yoruk culture. 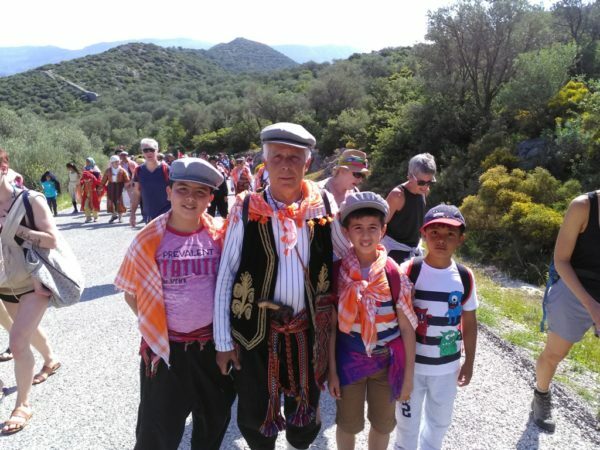 The walk is enjoyed by all generations, a chance for families to enjoy a day out together. 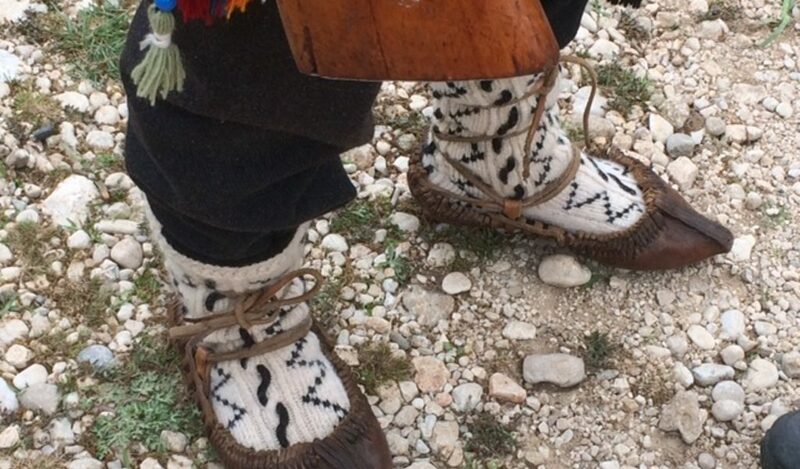 Traditional music welcomes people at the start of the walk. Gathering together at Delikemmer to start the walk. Back in the village, formal thank you, followed by more music and dancing. 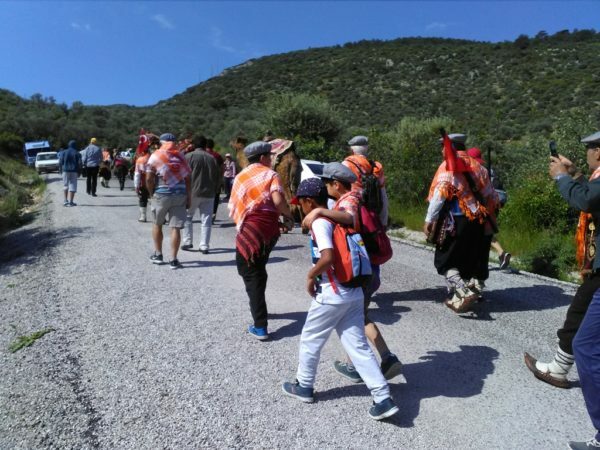 The Patara Nomadic walk from Delikemmer to Patara is an annual event that takes place each Spring. 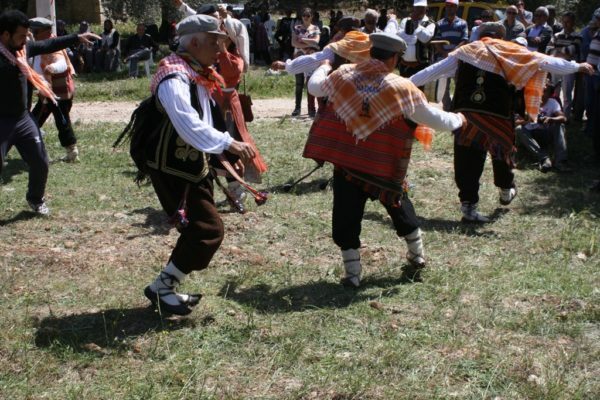 Spring time is a beautiful time for walking in the area as wild flowers and wild herbs are in abundance, the weather is a perfect temperature and it is a time of year when there are a number of other local festivals taking place, so you can get a real taste of traditional local culture. 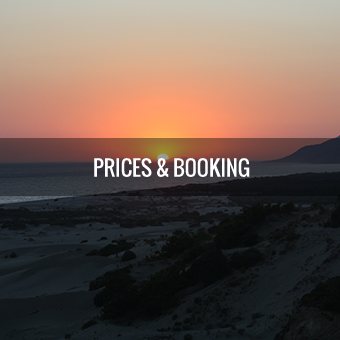 Please get in touch if you would like to book a Spring holiday for 2019 to coincide with this fabulous day out.